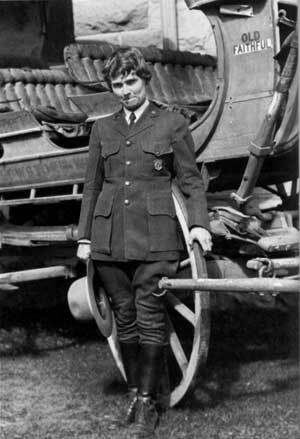 Born on October 11, 1896, in Inwood, Iowa, Herma A. Baggley forged a new path for women in the National Park Service (NPS). In 1921 she enrolled in the University of Idaho, majoring in botany with a minor in philosophy. Upon completing her undergraduate degree, she pursued her love of the outdoors and went to work as a seasonal naturalist at Yellowstone National Park (NP) for the summer. To earn her room and board, Baggley also worked for the Yellowstone Park Company as a “pillow puncher” at the Old Faithful Lodge. She helped lay out the first nature trail at Old Faithful. Baggley went on to receive a Master’s degree in botany from the University of Idaho in the spring of 1929 and in the fall began teaching there as a full-time instructor in the botany department. After one year, Baggley resigned from the university and accepted a permanent staff position at Yellowstone in 1931, becoming the first permanent female naturalist in the NPS. A highly educated and inquisitive botanist, Baggley drew on her academic training and her experience teaching as she pursued her work as guide, lecturer, and museum worker at Yellowstone and developed great skill at interpreting the parks’ natural environment and resources. During her seven years as a park naturalist, she authored or illustrated more than 22 articles for NPS publications. Though she moved on from the rich field environment in 1933, she continued her interest in and emphasis on education others. Along with park naturalist Dr. Walter McDougall, she co-authored a 1936 guide called Plants of Yellowstone Park, still in print today. She led the way when it came to botany and education. Baggley left Yellowstone and the NPS with a legacy of information and nature trail development. With her many contributions she established a path for others to follow.